Drag! That is the type of lingo the girls in Central Regional’s Field Hockey team are used to hearing from June all the way to November. This year, the girls endured a lot of training, such as, conditioning and stick skill training. Along with this, they also learned a lot of discipline and the bonding this sport requires. Although this might be a “girl sport,” unbeknownst to most, it is very tough and difficult to keep up with. The sport is no easy game, which the girls learned very early. 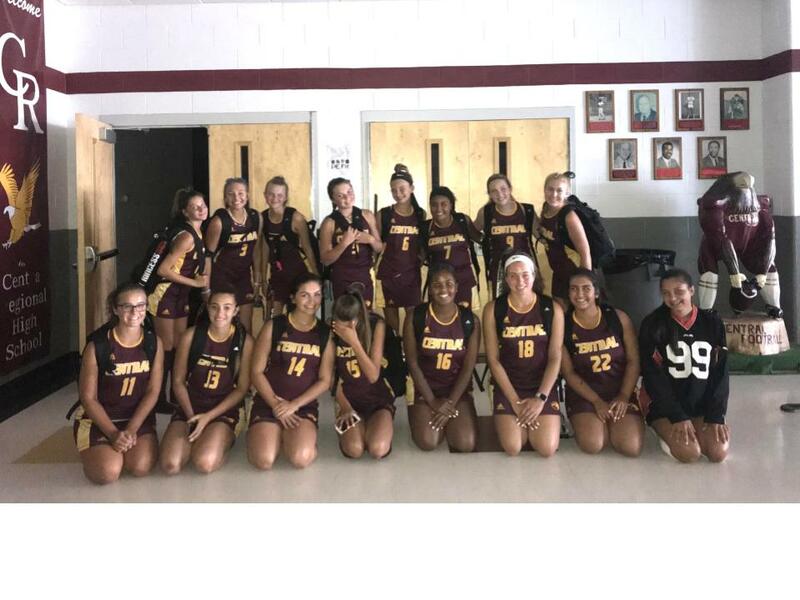 Take their record from last year as an example, which was 2-15, because the girls didn’t have adequate stick skills, and they also had to adapt to a new coaching staff. Last year, Agnes Whitfield, took on the role as head coach for the team. Being a new coach, it was not easy taking up a team with such record. However, this year would be totally different. “Last year’s’ team was a little more oriented on winning, this year’s team was focused on building skill and formation” said Coach Whitfield. She was not wrong. In her second year as coach, she developed a formation on the field, which the girls would follow religiously. It was the mold that they had to follow, which would later pay off in their astonishing improvement shown by their record 6-10-2! Maybe it was the “eleven laps!” team captain, Ashley Haug, recalled. Not only was their training and record important to them, but their bonding was also a fundamental part of their team. This group of girls didn’t just gather for training, they hung out outside of practice with their pool and pasta parties. They also picked themselves up when they were feeling down. “We’re a group of sisters that have a deep bond,” defense player, Whitney Rigodon, says. And that is something these girls will carry for years to come.